Hannah Wright was born on 10 March 1671. She married Col. David Goodrich, son of Ens. William Goodrich and Sarah Marvin, on 7 March 1689. Hannah Wright died on 27 April 1698 at age 27. Beverly Randolph was born on 27 December 1710 at Turkey Island, Henrico Co., VA. He was the son of Col. William Randolph II and Elizabeth Beverley. Beverly Randolph died on 1 January 1713 at age 2; scalded. Beverley Randolph was born on 12 November 1713 at Turkey Island, Henrico Co., VA. He was the son of Col. William Randolph II and Elizabeth Beverley. Beverley Randolph married Elizabeth Lightfoot on 22 December 1737. Beverely was a justice of Henrico Co. in 1740; a member of the House of Burgesses between 1748 and 1751. Lincoln, polar explorer, was born in Chicago, Illinois, the son of James William Ellsworth, a coal mine operator and financier, and Eva Frances Butler. Named William Linn and called by his second name, Ellsworth signed his name "Lincoln" when as a young boy he took an interest in his signature and "eventually gained that name by common consent" (Beyond Horizons, p. 7). After his mother's death when he was eight, Ellsworth and his sister lived primarily on their grandmother's farm near Hudson, Ohio. An indifferent student during his five years at the Hill School in Pottstown, Pennsylvania, he failed at Yale's Sheffield Scientific School (1900-1901) but then attended Columbia's School of Mines for two years. Ellsworth combined formal training, practical experience, and athletic prowess with a passion for exploring. He was an axman and then a transitman for a survey across Canada for the Grand Trunk Pacific Transcontinental Railway until 1906, when he became a construction engineer on the Canadian Pacific Railroad. Under its auspices he studied theoretical astronomy and observation at McGill University. In 1909, accompanied by an old prospector, Ellsworth journeyed from Port Essington on the Pacific to Edmonton (in part by dugout canoe). He later worked as an assistant engineer for the Kougarock gold mining company in Nome, Alaska, and then spent nine months building 180 coke ovens for his father's Pennsylvania mining operations. Hoping to make exploration his career, Ellsworth in the fall and winter of 1912-1913 studied surveying and practical astronomy at the Cheltingham, Maryland, school of the U.S. Coast and Geodetic Survey, with the U.S. Geological Survey, and at the Royal Geographical Society in London. He returned to the United States in 1913 and spent three years as a field assistant in the U.S. Biological Survey; he studied mammals and discovered a 425-pound meteorite in Owens Valley, California. World War I interrupted Ellsworth's dream of exploring the Arctic, but he talked with polar explorer Robert E. Peary in Washington before joining the Ambulance Service in France, and while there he spoke with arctic explorer Roald Amundsen. Ellsworth left the Ambulance Service to become a pilot but was too old to fly missions and was weakened by influenza and pleurisy. By 1924 he had coled the Ellsworth-Singewald Geological Expedition in Peru, sponsored by Johns Hopkins University, which surveyed a cross section of the Andes Mountains from the Pacific Ocean to the Amazon River. Late that year, while in New York, he planned with Amundsen a flight over the North Pole to Alaska. An expedition of six, they left Spitsbergen, Norway, on 21 May 1925 in two Italian-built seaplanes without radios. Eight hours after takeoff, still 136 miles from the pole, the lead plane--piloted by Hjalmar Riiser-Larsen and carrying Amundsen and mechanic Karl Feucht--lost power in one engine and had to make an emergency landing. The second plane, piloted by Lief Dietrichson and carrying Ellsworth and mechanic Oskar Omdall, also landed but was disabled beyond repair. Separated by a three-mile maze of deep ice canyons, the Ellsworth trio set out for Amundsen's plane, but on the way the ice cracked under Ellsworth's companions, tumbling them into freezing water. With lightning speed and almost supernatural strength, Ellsworth reached them with his outstretched skis and pulled them to safety. As Amundsen repeatedly said, Ellsworth's rescue saved all six of their lives, for each man's strength was needed to free Amundsen's plane, which was mired in freezing slush, and to build an ice ramp for its takeoff. With makeshift tools they moved more than 300 tons of ice before they took off for Spitsbergen on 15 June. They had reached latitude 87 44'N, explored 120,000 unknown square miles, took soundings that showed a 12,000-foot Polar Basin depth, and proved that there was no land on the European side of the North Pole. Upon his return Ellsworth learned that his father, who had grudgingly furnished $85,000 for the expedition, had died fearing that his son had been lost to the Arctic. Inheriting $1.2 million from his father, Ellsworth was able to plan further arctic explorations. For a follow-up expedition Ellsworth and Amundsen purchased a 348-foot dirigible. They renamed it Norge and persuaded Umberto Nobile, its builder, to pilot it. They were in Spitsbergen readying their airship for takeoff when Admiral Richard E. Byrd and his pilot Floyd Bennett arrived, claiming (erroneously, as a much later analysis of Byrd's diary indicates) to have flown over the North Pole on 9 May 1926. With those on the Norge unaware that in reality they would be the first to fly over the North Pole, it left Spitsbergen two days after Byrd's arrival. Very early on the morning of 12 May 1926, their dirigible hovered over the pole with Ellsworth commenting on its "unearthly pallor" while they dropped the flags of Norway, Italy, and the United States. During the final part of their journey, ice crippled their radio and tore holes in their airship, but they covered 3,180 miles before landing at Teller, Alaska. They had crossed the polar sea from the Atlantic to the Pacific and found that there was no land barrier between them, had solved seemingly insurmountable navigation problems--by utilizing radio signals, magnetic-compass directions, and solar observations--and had collected invaluable data for those who would follow. Byrd called their accomplishment "one of the great feats of our age" (Air Pioneering in the Arctic, p. 126). In July 1931 Ellsworth again headed for the North Pole. He was a navigation expert on the Graf Zeppelin, which was forced by fog to return to Germany after flying over the Siberian Arctic. Turning his attention to the Antarctic, Ellsworth made plans for a flight there with Sir Hubert Wilkins, an Australian polar explorer. But in 1933, before carrying out these plans, he married Mary Louise Ulmer; they had no children. Ellsworth's 1934 attempt to fly across Antarctica failed. The Polar Star, his specially designed Northrop plane was damaged in a Bay of Whales ice floe. In early 1935 Ellsworth took off from the Antarctic Peninsula for Little America, Byrd's abandoned base, but bad weather aborted this attempt, and a clogged fuel gauge ruined his next try. "This time we must make it," was Ellsworth's only thought on 21 November 1935 when he and Herbert Hollick-Kenyon, his arctic-experienced Canadian pilot, left Dundee Island ("First Crossing of Antarctica," p. 315). On 5 December the Polar Star "like a weary bird gently came to earth" with its gasoline exhausted ("Ellsworth's Own Diary," p. 403). Four days later they set out on three-foot snowshoes for Little America, pulling a hand sled with three weeks' rations. Although Byrd's camp was only sixteen miles away, they traveled 100 miles before finding it on 15 December 1935. Ellsworth had flown 2,200 miles over Lesser Antarctica, with more than half of these miles over unexplored territory. His flight changed maps and revealed more about the antarctic interior than did any other single exploration until one undertaken by the U.S. Navy in 1956. Claiming the newly explored land for the United States, Ellsworth named a great plain for his father, a plateau for his pilot, and a mountain peak for his wife. In1939 he flew 240 miles inland from the Indian Ocean coast of Greater Antarctica, claiming more land for the United States. David Goodrich was born on 8 December 1694. He was the son of Col. David Goodrich and Hannah Wright. David Goodrich married Hepzibah Boardman on 31 December 1721. David Goodrich died on 15 July 1785 at age 90. Ludwig Lewis Wolfley was the son of Johann Conrad Wolfley. [S182] Social Security Death Index (on-line), Ancestry.com, SSDI, Ancestry.com, SSAN 553-12-2832. Johann Conrad Wolfley was born in 1729 at Besigheim, Germany. He died in 1794. Johann immigrated to America in 1750 aboard the ship Patience, landing at Philadelphia. He settled in Pennsylvania with other German immigrants and changed hsi last name from Wölflin to Wolfley. [S182] Social Security Death Index (on-line), Ancestry.com, SSDI, Ancestry.com, SSAN 552-28-8234. Richard, colonial and revolutionary statesman, was born in Williamsburg, Virginia, the son of Richard Bland, a successful planter and local political leader, and Elizabeth Randolph. An exemplar of colonial Virginia's planter elite, he inherited a large James River estate and counted the Randolphs, Lees, Beverleys, and other first families among his relatives. At the College of William and Mary he received the best that Virginia could offer in the way of formal education. He qualified for the bar in 1746 and was recognized as an authority on constitutional law and Virginia's connections with the mother country. Thomas Jefferson, long after the Revolution, remembered him as "the most learned and logical man of those who took prominent lead in public affairs." Bland's first wife and the mother of all of his twelve children was Anne Poythress, the daughter of one of Prince George County's leading planters, Peter Poythress. His first wife died in 1758, and Bland married Martha Macon, who also died a few years later. His third wife, Elizabeth Blair, the daughter of the president of the colonial council, John Blair, left him a widower in 1775. His marriages, first to respectable members of the local gentry and later to one of the prominent Blairs, helped to ensure his status. As the first citizen of his county and one of the leading citizens of the province, Bland served as a vestryman of his local Anglican parish, as a justice of the peace for Prince George County, and as a colonel in the local militia. From 1742 until the Revolution he served as a member of the House of Burgesses, distinguishing himself as one of the two or three most important members of the colonial assembly. Bland and his assembly colleagues accepted the habit of provincial self-rule. For over thirty years he was an exceptionally active burgess, playing a key role in virtually all of Virginia's internal affairs. He took the lead in opposition to the royal governor's 1753 plan to tax land patents, arguing that the "pistole fee" was an illegal tax because it did not have the consent of the elected representatives of the people of Virginia. In 1755 he took the lead again when the British Crown disallowed a law passed by the Virginia assembly that permitted colonists, during a tobacco crop failure, to pay their tobacco debts in paper money. In a satirical piece, "The Colonel Dismounted" (1764), he argued that only the representatives of Virginia could make laws for the internal affairs of the colony and that good laws made in the colony were beyond even the king's interference. Bland was determined to defend a sphere of internal government reserved exclusively to the Virginia assembly, rationalizing in theory what he and his colleagues had long practiced: colonial self-rule. When Parliament began to threaten traditional legislative independence, Bland struck back with his effective pen. The 1765 Stamp Act was an especially perilous threat, which prompted his most important tract--and one of the important pamphlets of the American revolutionary era--An Inquiry into the Rights of the British Colonies, printed in 1766. This bold defense of colonial home rule advanced a theory of divided sovereignty within the British Empire, identifying the colonial assemblies as the supreme legislative bodies of the various colonies just as Parliament was the supreme legislature of Great Britain. Bland based his theory on natural rights, including the right to resist if parliamentary power were used arbitrarily. He maintained that the colonists were the equals of the British; they had freedom to legislate their own affairs, and if the British government pushed too far they had the right to rebel. He advanced further into new ideological ground than any writer before him, presenting a theory of the British Empire that assured that Americans were masters in their own house. Thomas Jefferson admired Bland's closely argued tract, and his own Summary View of the Rights America was modeled closely on Bland's work. Inherent in Bland's commonwealth theory of the empire was justification for revolution, but his preference was to see colonial self-government restored without breaking away from the British Crown. He opposed Patrick Henry's fiery resolves against the Stamp Act and his later call for immediately arming Virginia. Never a zealous revolutionary, Bland was a cautious elder statesman whose goal was to sustain the political and social way of life he had long known as a member of Virginia's elite. He opposed rebellion until it was clear that he had no other choice. He served as a delegate to the first two Continental Congresses, and in May 1776 the reluctant rebel voted both for Virginia's independence and the resolution that directed the Virginia delegation to the Continental Congress to declare for American independence. Just before his death he served on the committee that drew up the government of the independent state of Virginia. James William Ellsworth was born on 13 October 1849 at Hudson, Summit Co., OH. He was the son of Edgar Birge Ellsworth. James William Ellsworth married Eva Frances Butler on 4 November 1874. James William Ellsworth died on 2 June 1925 at age 75. Edgar Birge Ellsworth was born on 10 February 1815 at OH. He was the son of Elisha Ellsworth and Elizabeth Oviatt. Edgar Birge Ellsworth died on 21 December 1883 at Wakenery, KA, at age 68. Gordon Bitner Hinckley was born on 23 June 1910 at Salt Lake City, Salt Lake Co., UT. He was the son of Bryant Stringham Hinckley and Ada Bitner. Gordon Bitner Hinckley married Marjorie Pay in 1937 at Salt Lake City, Salt Lake Co., UT. 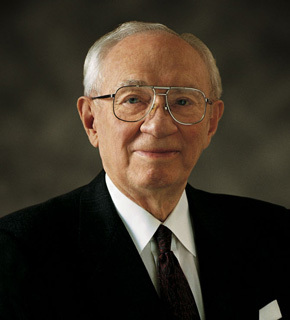 Gordon Bitner Hinckley died on 27 January 2008 at Salt Lake City, Salt Lake Co., UT, at age 97. William Henry Fitzhugh Lee, soldier and congressman, was born in Arlington, Virginia, the son of Robert Edward Lee, the soldier and later Confederate general, and Mary Anne Randolph Custis, the great-granddaughter of Martha Dandridge Custis Washington by her first marriage. He was educated in private schools but failed to gain admittance to West Point. Lee attended Harvard University, where he was a classmate of Henry Adams, the "Rooney" Lee that Adams assessed rather disparagingly, but he left in 1857 without a degree. His shiftlessness and lack of self-control worried his father, who paid his son's college debts. Upon the recommendation of General Winfield Scott, Lee was appointed second lieutenant in the Sixth Regiment, U.S. Infantry. He accompanied this regiment, under Colonel Albert S. Johnston, on an expedition in 1858 to Utah Territory, where a conflict of authority with the federal government resulted in the virtually bloodless Mormon "war." The following year he resigned his commission to return to New Kent County, Virginia, to oversee his estate, "White House," the Custis plantation on the Pamunkey River left him by his grandfather. In 1859 Lee married an orphaned cousin, Charlotte Wickham. Their two children died in infancy. When the Civil War broke out in 1861, Lee at first thought that secession was a terrible mistake, but he sided with the Confederacy and raised a company of cavalry, with which he joined the Army of Northern Virginia. He was frequently promoted in 1861, earning the ranks of captain, major, and lieutenant colonel. Appointed colonel of the Ninth Virginia Cavalry, Lee served with General J. E. B. Stuart in his first ride around General George B. McClellan in June 1862 during the Peninsular campaign. He subsequently fought at Second Manassas, and during the Antietam campaign he was hurt at Turner's Gap but recovered to participate in the Chambersburg raid. Lee's record of leadership and bravery led to his appointment in 1862 as brigadier general. He commanded his brigade at Fredericksburg in December 1862 and at Chancellorsville in May 1863. Severely wounded in the leg at Brandy Station, the great cavalry battle in June 1863, Lee was convalescing at the Wickham family home, "Hickory Hill," in Hanover County when he was captured on 26 June 1863 during a Federal raid and imprisoned at Fortress Monroe, then commanded by Benjamin F. Butler. He was later transferred to Fort Lafayette, where he remained until an exchange of prisoners occurred in March 1864, three months after the death of Lee's wife from tuberculosis. Mary Boykin Chesnut, a writer whose father and husband served in the U.S.
Senate, recorded in her diary: "Rooney Lee says Beast Butler was very kind to him while he was a prisoner. And the Beast has sent him back his war-horse. The Lees are men enough to speak the truth of friend or enemy, unfearing consequences" (Mary Chesnut's Civil War, ed. C. Vann Woodward , p. 589). 1 April 1865. Lee was with his father in the Appomattox campaign and surrendered with him in 1865. Like his father, he accepted defeat without complaining and advised the South to create a new and better section within the Union. Although not a revered and distinguished officer in the mold of his father, Lee enjoyed the respect of his men and gained recognition for his military skills. The fact that he was the general's son enhanced his reputation. After the conclusion of the war in 1865, Lee returned to his Virginia plantation, which Union forces had reduced to ruins. In the meantime, he had more fervently embraced Christianity. While not a fatalist, he believed that God directed the daily affairs of people and understood the destruction of his farm and the death of his wife as punishments for his sins. In 1867 Lee married Mary Tabb Bolling; they had five children, two of whom lived to adulthood. In 1874 he moved to Burke's Station, Virginia, where he engaged in farming and raising horses. A noted horseman, he rode virtually every day. Peace left Virginia prostrate. A major problem confronting the state in the postwar era was a debt of nearly $42 million. The legislature determined that it should be reduced according to the state's ability to pay. During this period of internal controversy over the readjustment of the state debt, Lee entered politics. He served one term, from 1875 to 1879, in the state senate, being its presiding officer during his last year in office. Lee chose not to seek renomination, preferring instead to devote time to his family during a transitional period in the state. The birth of modern industry in Virginia in the 1880s gave rise to cotton textile plants, shipbuilding plants, and cigarette factories, among others. New railroad lines helped to connect remote areas with the centers of population. Industrialism helped to diversify the state's almost completely agrarian economy, but political and social tensions resulted from these changes. Lee belonged to the conservative Democrats who, under Fitzhugh Lee in 1886, wrested control of the state from William Mahone and the Readjuster party. John, king's attorney general for Virginia and Loyalist, was born at the Randolph family estate, "Tazewell Hall," in Williamsburg, Virginia, the son of Sir John Randolph and Susanna Beverley. He grew up in fortunate circumstances. His father, the only Virginian to be knighted during the colonial era, was the leading man in the politics of Virginia until his death, serving as king's attorney, Speaker of the House of Burgesses, and representative of Virginia in London. Whether by accident or by design, both John Randolph and his older brother Peyton Randolph were to follow their father's footsteps into public life and to hold some of the same positions that he had occupied. Randolph graduated from the College of William and Mary and went to London. He entered the Middle Temple in 1745 and was called to the bar at Westminster in 1750. He soon returned to Virginia to practice law and to serve as the clerk for the House of Burgesses (1752-1756). In or around 1752 he married Ariana Jenings, the daughter of the attorney general of the colony of Maryland. The couple had three children. During the early years of his marriage and working life, Randolph became one of the leading members of Virginia society; he was on intimate terms with George Washington and with Thomas Jefferson, who was his first cousin once removed. Both deists and men of the Enlightenment, Randolph and Jefferson enjoyed one another's company and frequently played the violin together. In 1771 they made a rather strange agreement. If Jefferson were to die first, Randolph would receive 100 sterling worth of Jefferson's books; if the reverse were to occur, then Jefferson would receive Randolph's violin, which he had brought from England. Randolph's career blossomed during the years prior to the American Revolution. He practiced law with considerable success, and in November 1766 he was named as the king's attorney general for Virginia, replacing his brother Peyton Randolph, who became Speaker of the Virginia House of Burgesses. Randolph became more conservative as the American Revolution approached. In 1774 he wrote "Considerations on the Present State of Virginia," urging his fellow colonists to consider the value of their connection with Great Britain. In March 1775 he boycotted the Virginia Convention that was called to address the relations of the colonies to the mother country and that was led by his older brother. During the summer of 1775, when hostilities commenced between the governor, John Murray, Lord Dunmore, and the Virginia patriots, Randolph examined both his conscience and his duty. He later recalled his thought process in a letter to Jefferson: "I read with avidity every thing which was published on the Subject. . . . In this situation I had no resource left but to submit myself solely to the Dictates of my Reason" (Mackall, p. 26). Those dictates bid him to support the governor and the Crown, for Randolph embarked for England with his wife and two daughters. His 22-year-old son, Edmund Randolph, refused to go to England; he remained in Virginia and soon joined the ranks of the patriot cause. 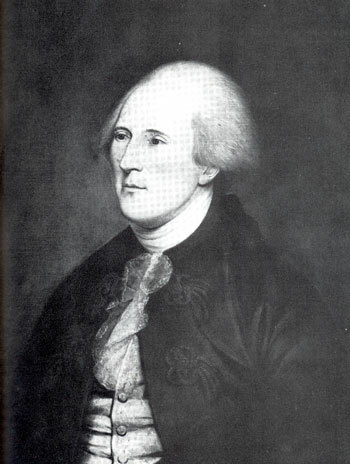 Prior to his departure, Randolph sold his violin to Jefferson for 13 sterling. The Randolph family lived for a time on the Scottish estate of Lord Dunmore, where both of the Randolph daughters married other Virginia Loyalists; Susannah Randolph married John Randolph Grymes, a kinsman, and Ariana Randolph married James Wormeley. The Randolphs moved south to Brompton, England, where they subsisted on a pension from the Crown of 100 per year. Active as ever, Randolph drew up a plan for reconciliation between England and the colonies and offered to lead American Loyalists in defense of England if the French invaded. In October 1779 Randolph wrote a lengthy letter to Jefferson. Randolph congratulated his kinsman on becoming the governor of the state of Virginia and urged him to do all that was within his power to bring about an understanding between England and the states. Casting aspersions on the value of the American alliance with France, he asserted that England was a match for all of her foes, both American and European. He concluded with a call for reconciliation: "Wou'd it not be prudent, to rescind your Declaration of Independence, be happily reunited to your ancient & natural Friend, & enjoy a Peace which I most religiously think w'd pass all Understanding?" (Mackall, p. 30). It is likely that the letter was never sent. Randolph died in Brompton of natural causes. His last wish was that he be buried in the soil of Virginia. His daughter Ariana and her husband brought his remains across the ocean to be buried under the chapel of the College of William and Mary next to the burial sites of his father and brother. Randolph's Treatise on Gardening, By a Citizen of Virginia was posthumously published in 1793. Believed to be the first American book on kitchen gardening, it showed him to be a man of scholarly temperament with keen powers of observation. George Washington Custis Lee, army officer and educator, was born at Fort Monroe, Virginia, the son of Robert Edward Lee, an army officer, and Mary Ann Randolph Custis. After an early education in local private schools, Custis Lee (as he was commonly called) entered West Point in 1850 and graduated first in the class of 1854. His academic performance entitled him to an assignment in the elite Corps of Engineers, in which he was commissioned second lieutenant. During the remaining years before the Civil War, he worked on river and harbor improvement projects in various parts of the country. When the attack on Fort Sumter brought Virginia's secession, Lee was serving as a first lieutenant and assistant to the chief engineer of the army in his bureau in Washington. Lee resigned his U.S. Army commission on 2 May 1861 and offered his services to Virginia. On 1 July 1861 he was commissioned captain of engineers in the Confederate army, and that month and the next he worked at designing and directing the construction of the fortifications at Richmond. Other duty beckoned, however, when on 31 August he was selected by President Jefferson Davis to serve as his aide-de-camp. For this purpose, Lee was given the rank of colonel of cavalry (though his duties had no more to do with the mounted arm of the service than with any other). In his new role Lee often performed important duties for Davis. In September 1861 he was sent to inspect the state of the defenses at Norfolk, Virginia--the Confederacy's only real naval base--which was sorely threatened. The next month he was dispatched to Wilmington, North Carolina, to help set in order the defenses of that vital blockade-running port city. During the Peninsula campaign the following spring, he carried messages of the greatest importance from Davis to General Joseph E. Johnston. In June 1863 his faithful service was rewarded with promotion to brigadier general. That fall his father consulted him for advice concerning the reorganization of the Army of Northern Virginia's artillery corps. Despite all this and other consistent evidence of his position as Davis's most trusted military aide, Lee remained dissatisfied. He urgently desired transfer to a combat command and communicated this desire to Davis. The president, however, believed Lee's services indispensable to him, and so Lee remained trapped in a prestigious, important, and unglamorous assignment. In March 1864 he led a scratch force in opposing a cavalry raid led by Union colonel Ulrich Dahlgren. In October Lee was given the task of organizing Richmond's remaining military-age male population--essentially War Department clerks and skilled workers in war industries--into a Local Defense Brigade. At the same time, he was promoted to major general (20 Oct. 1864). Amid the frequent alarms of the winter of 1864-1865, as the tremors of impending collapse began to shake the Army of Northern Virginia, Lee was frequently called to do duty with his brigade in the Petersburg trenches. When the Army of Northern Virginia was forced to flee Richmond on 2 April 1865, Lee led a division in the retreat. This improvised unit, composed of his own brigade, some regular troops, and various sailors and marines of the now defunct Confederate navy, was attached to General Richard S. Ewell's II Corps. On the fifth day of the retreat, 6 April 1865, this corps became separated from the rest of the army and was beset by the closely pursuing Union infantry and cavalry. At Sayler's Creek, Lee fought his first and last battle in the field. Though his personal valor and skill excited the admiration of his superior, the result was never in doubt. Most of the II Corps, including Lee's division, was captured. While the majority of his comrades would spend a period of captivity at Fort Warren in Boston Harbor, Lee's case was different. The dangerous illness of his mother elicited compassionate treatment from his captors, and he was paroled almost at once. That October, with the war over, Lee became professor of military and civil engineering at the Virginia Military Institute. After a little over five years in that position, he succeeded his father (who had died on 12 Oct. 1870) as president of Washington College (now Washington and Lee University), 1 February 1871. He is credited with making a number of beneficial reforms and improvements during his more than a quarter-century as president. On 1 July 1897 he resigned, retiring to "Ravensworth" in Fairfax County, Virginia. Custis' most lasting legacy may be that of his mother's home. On the eve of the Civil War, Arlington was a private estate owned by Mary Lee, the wife of Robert E. Lee and the great-granddaughter of Martha Washington. One month after the Confederate attack on Fort Sumter in April 1861, the United States Army seized the Arlington estate from the Lee family. The army turned the property into a military garrison for the defense of Washington. Three years later the government claimed formal legal title to Arlington on the grounds that Mary Lee had failed to pay a federal property tax during the war. That same year the army converted the estate into a military cemetery for the Union War dead, a burial ground that became the foundation of Arlington National Cemetery. The Lincoln administration's decision to claim title to Arlington sparked a legal battle between the Lee family and the federal government that lasted long after the guns fell silent at Appomattox. Seventeen years after Robert E. Lee's surrender; his son won a sweeping victory over the government in the Supreme Court. On December 4, 1882, the justices upheld a federal trial court's ruling that the United States government's claim to Arlington's title rested on an invalid tax sale. The justices thus affirmed the lower court's holding that George Washington Custis Lee, eldest son of Mary and Robert E. Lee, held legal title to Arlington. They also upheld the lower court's decision to permit Custis Lee to bring suit to eject the government's officers from Arlington. The fundamental issue posed by this case, however, was not who owned Arlington in a legal sense. For all practical purposes, that issue was already resolved in Custis Lee's favor long before the case reached the Supreme Court. Rather, the issue at stake was whether Custis Lee could bring his suit in the first place. From the start, the Justice Department contended that the doctrine of sovereign immunity prohibited private citizens from suing government officers without congressional consent. In the government's view, it was irrelevant whether Lee owned Arlington. The only issue that mattered was whether the courts could unilaterally exercise jurisdiction over the government's officers. IN a narrow ruling the justices concluded that the case represented a choice between the rule of law and unchecked government power. In eloquent language, the decision reaffirmed that private citizens injured by the government’s wrongful acts have a right to a day in court. The ruling underscored the principle that the nation's courts would hold accountable government officials who violated the law. The principle of judicial review that Custis Lee benefited from in the Arlington case would eventually facilitate the success of the Civil Rights Movement in the 20th century.